It’s a little early to start dying real eggs for Easter, but faux eggs – heck you could get a jump start on next year. This spring I created 10 Themed Adorable Easter Baskets for Kids over on HGTV and I was feeling the fruit. Not like thumping melons and squeezing apples feeling, like feeling the fruit vibe. 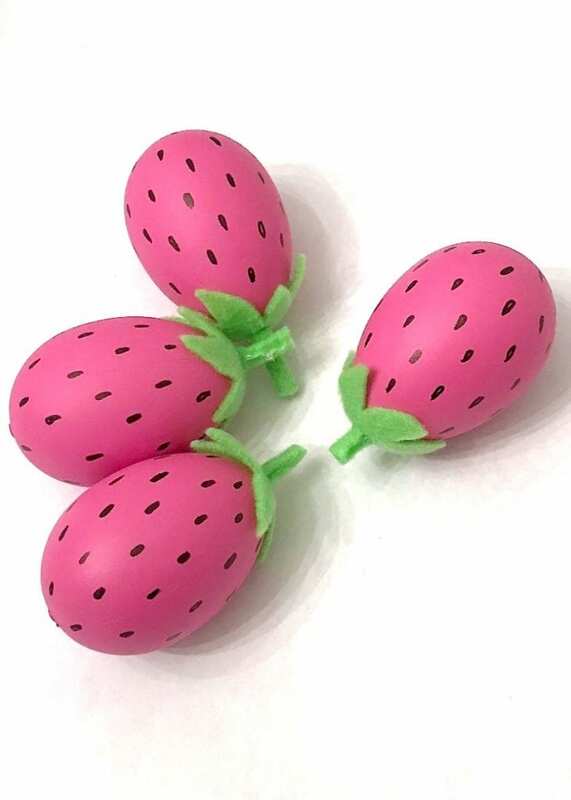 Last Easter I went nuts for pineapples, this year I made DIY strawberry Easter eggs and man are they cute. 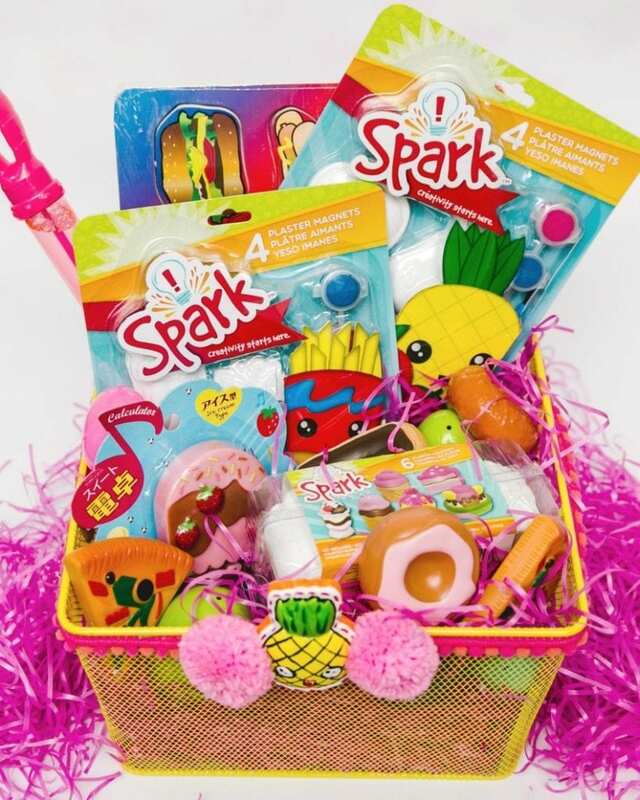 Think of Easter baskets more as themed gift baskets. If you have a trendy tween around your house you know that pineapples are still going strong, watermelons are going to be big for summer and well with these DIY strawberry eggs I’m bringing berries back. Plus did I mention how easy these eggs are to make? Like so easy. Like your kids could make them all by themselves. Gather your supplies – all five of them. Pink eggs – I used plastic eggs that were already pink but if you want to dye your own eggs go for it. 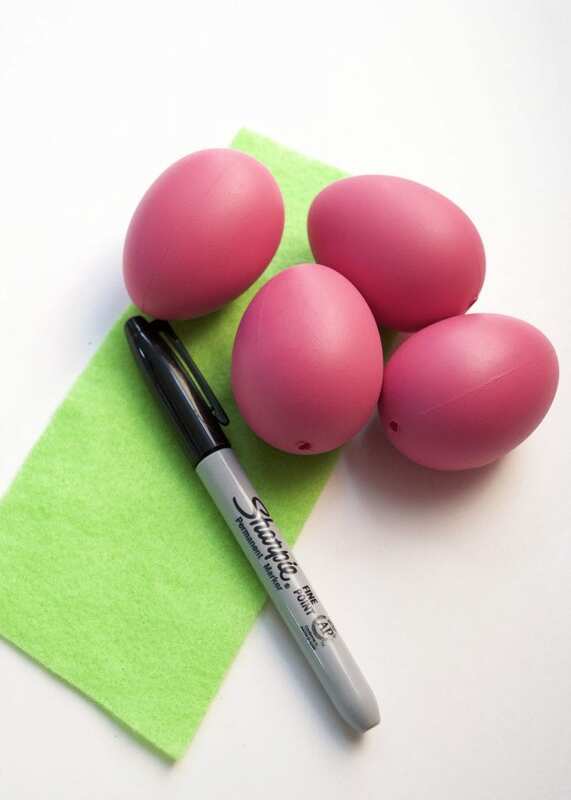 Sharpie – Since I’m using plastic eggs a permeant marker is fine. If you go the real egg, I might eat you later route, consider using a food marker instead. Glue – I prefer hot glue, but craft glue will work too. Using a sharp pair of scissors cut shapes like the leaves on top of strawberries. You might even consider going the extra mile and rolling up wee little felt pieces to make stems. Attach to your faux pink eggs with glue. 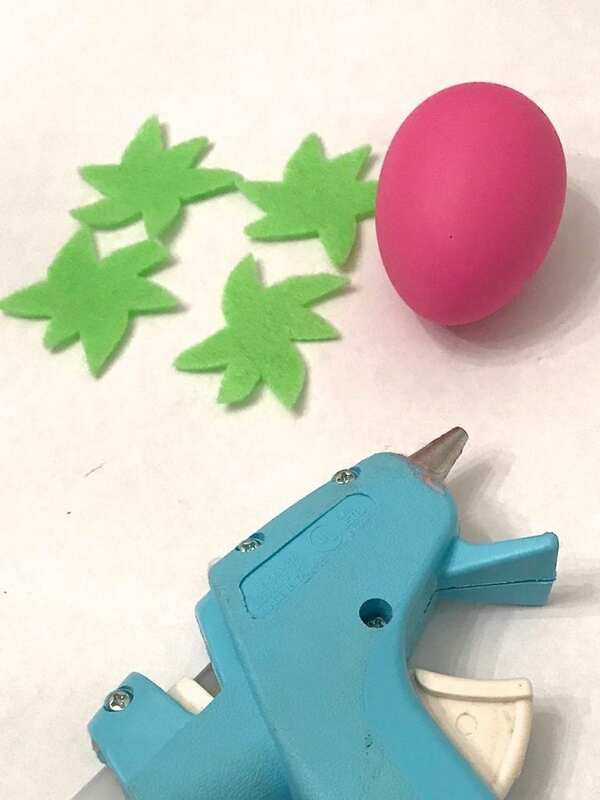 If you want to try it with real eggs consider using something like fondant for the leaves and attaching with icing. Add seeds with a black marker. Just little dashes will work no need to be Picasso. If you are using real eggs you can use a black food marker. 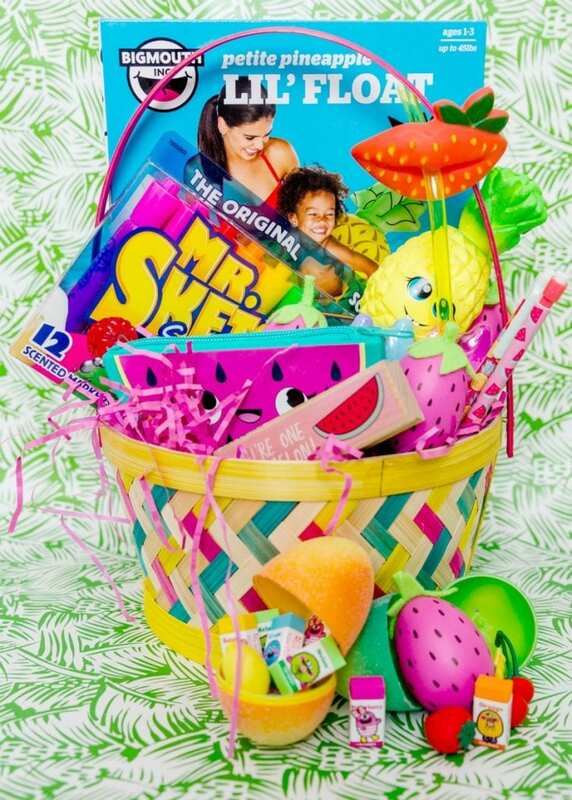 Fill your fruity themed basket with fun stuff like(Amazon affiliate links ahead – purchasing through these links helps support this blog) Scented Markers and pineapple shaped pool floats. 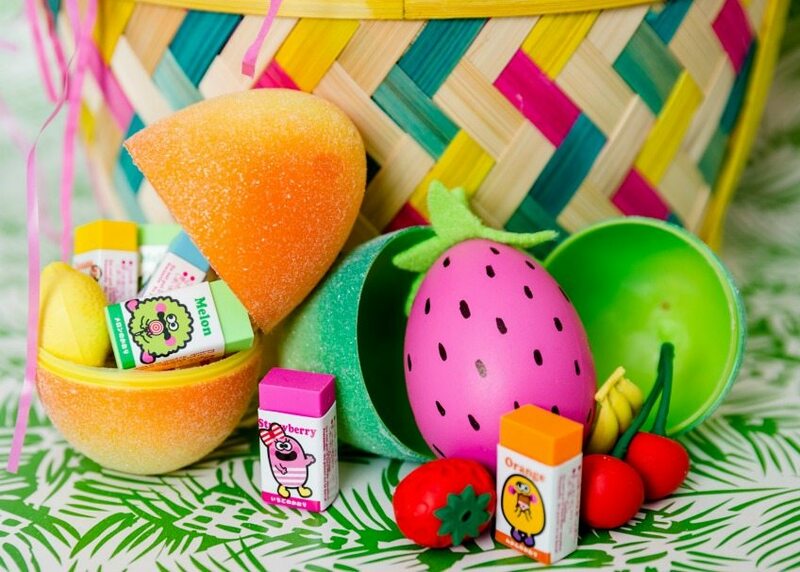 Stuff Easter eggs with pint sized fruit themed erasers and flavored lip balms. Most importantly don’t forget the DIY strawberry eggs! Want more fruity Easter fun? Keep reading! Foodie Friends Easter Basket – Another fun idea for Easter and beyond. Not just fruit, but fast food too! Love these Plaster Fruit Shaped Paintable guys. Fruit with a face is always fun. 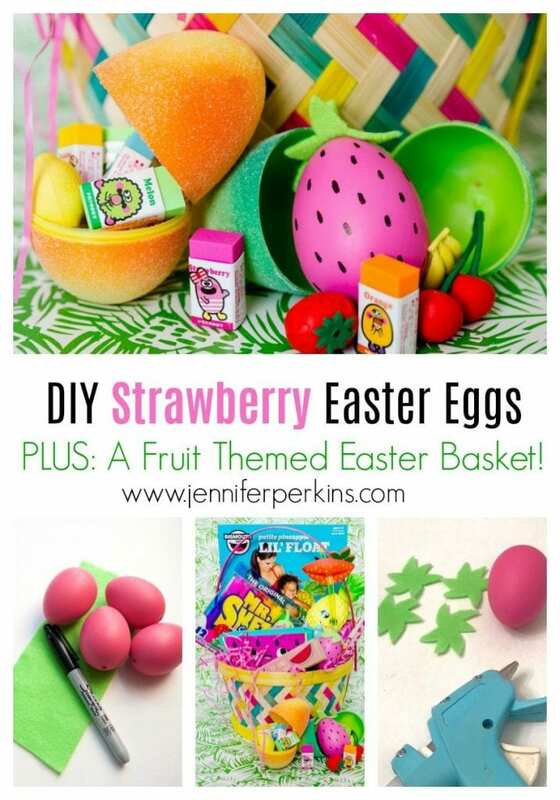 DIY This With Jennifer Perkins – Easter Egg Pineapples – Ever notice how an Easter egg is shaped like a pineapple? I did. 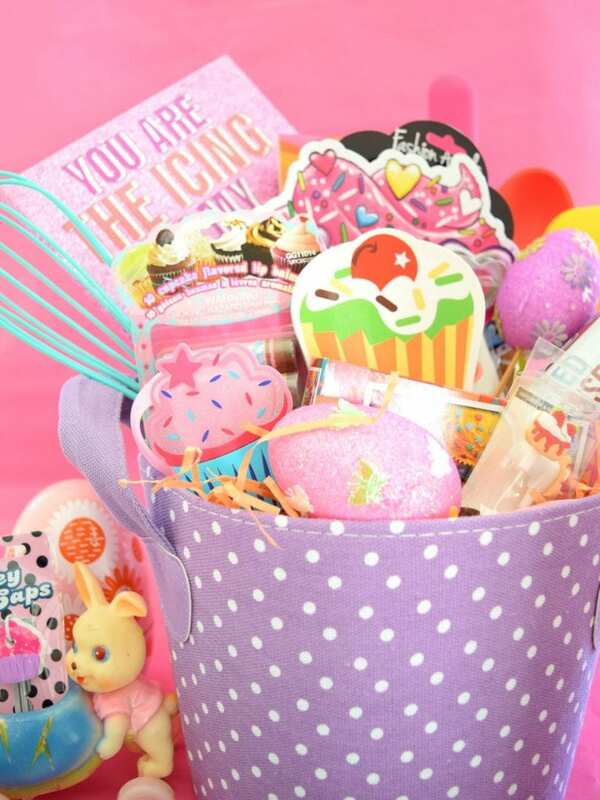 Sweet Treats Easter Basket – Over on DIY Network I’ve got 15 Candy Free Easter Basket Ideas including this one with a baking theme. Strawberry cupcakes anyone? Posted March 21, 2018 & filed under Crafts, DIY Network/HGTV, Easter, Holidays, Kids Crafts, Plant Crafts, Uncategorized.